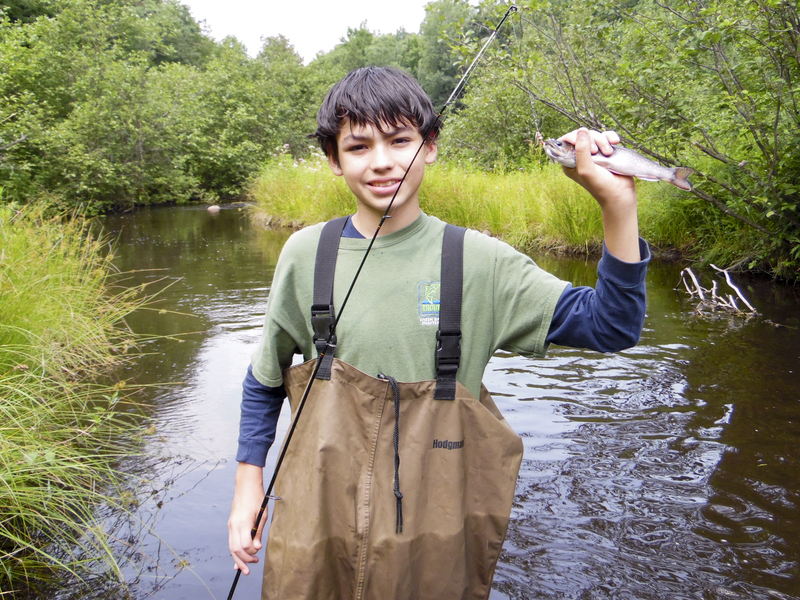 GBTU supports the Wisconsin River Alliance's Wild and Scenic Film Festival as a sponsor. Read more about " April 25, 2019 Wild and Scenic Film Festival ". 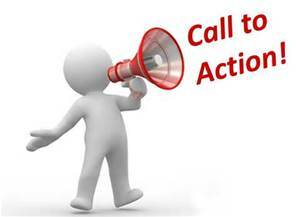 Read more about " March 27, 2019 Conservation Lobby Day ". 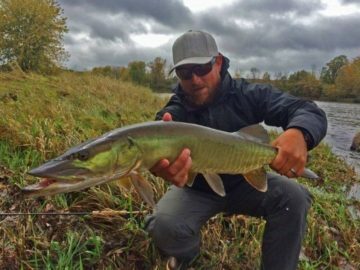 Get your tickets to this Year's Fly Fishing Film Tour, an event sponsored by TU with funds raised helping protect our coldwater resources ! 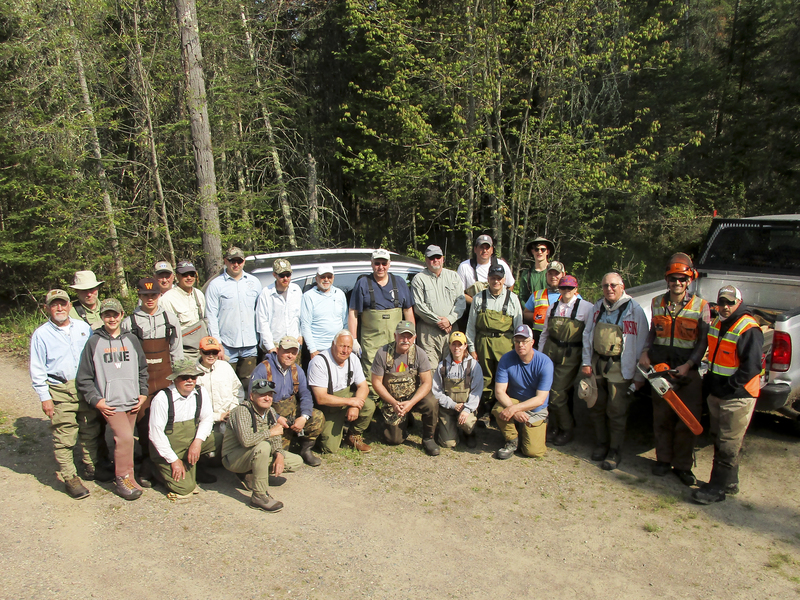 Read more about " March 6, 2019 Fly Fishing Film Tour ". 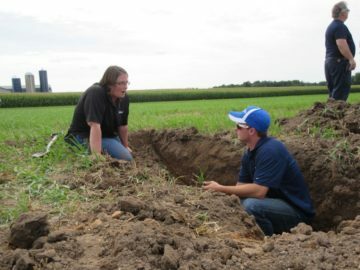 Most of us are aware of agriculture's need for water and some of the impacts certain practices have had on our coldwater resources. Read more about " Jan 5th, 2017 Program ". 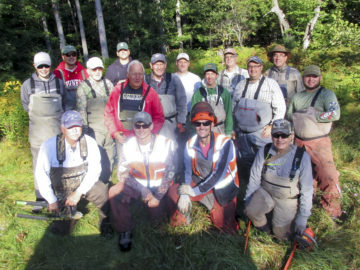 The Green Bay Trout Unlimited (GBTU) 2016 work projects are " In The Books ". Thanks to everyone who made it happen ! Read more about " 2016 Work Schedule ". 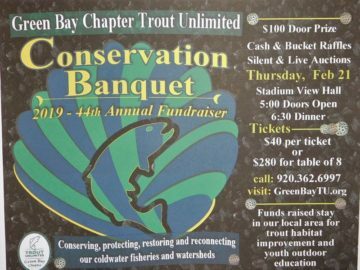 The WDNR is holding several public meetings to discuss the future management of Lake Michigan trout and salmon, including a proposed 61.5% reduction in chinook stocking in 2017. Read more about " Lake Management Challenges ". The Fishing Trip Committee is pleased to announce the first fishing trip of the year centered from Wautoma. Please join us for a day of fishing, fun, and fellowship. 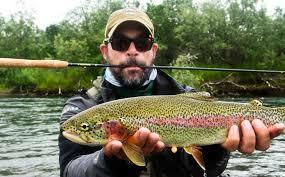 Read more about " June 11th Fishing Trip ".